Abby Beyerl, the District Library Media Specialist and Varsity Cheer Coach, received a grant for a new, interactive, addition to the Library Media Center within the high school called the Makerspace. 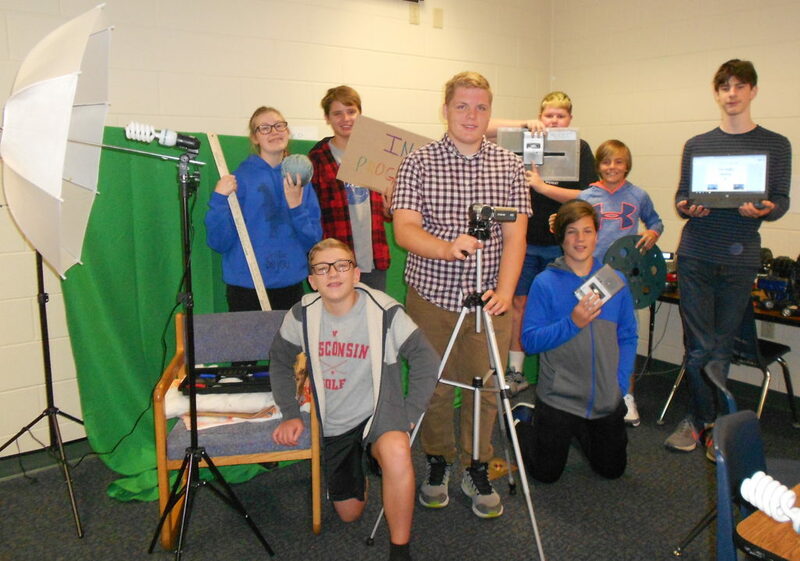 Within the Makerspace students can work in stations, producing and experimenting with video creation, music, programming, sewing, and many more activities. The idea for applying for the grant was inspired by the Makerspace in the Verona School District’s high school, as well as many conferences that highlighted Makerspaces and their ability to inspire creativity in students. The stations that are currently being offered within the Makerspace are paper crafts, coding, sewing, fiber arts, jewelry making, computer programming, music, hands-on creation, video creation, and tools/destruction. Alongside all of these, the program is also open to new stations and might rotate options in the future as it grows. For now it is offered as a TRIE option for high school students, which has had a group of about 20 students through this school year. The Brain Power Project, another program offered at the high school, might also use the space for completing their projects. The feedback from the students has been positive, with a survey being available for students to give their input. There is also a whiteboard in which the students can request materials and stations. A Google Classroom page has also been created for students to post their work. The grant created a solid starting point for the program to meet students’ interests and allow them to creatively explore different topics and activities. With this great start for the program, and its future growth, the Makerspace is planned to be open to classes, allowing for students to use its materials and activities as a resource for projects and class assignments. The program will also be open to community involvement and their expertise, with guest speakers or presenters sharing their knowledge with students.